Suede Biography, Discography, Music News on 100 XR - The Net's #1 Rock Station!!! The roots of this Alternative-Rock Pop-Rock band trace back to late '80s when singer Brett Anderson, guitarist Bernard Butler and bassist Mat Osman began playing music around clubs in London ENGLAND. 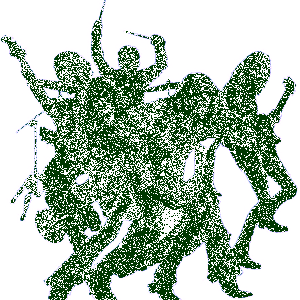 In June of 1991, drummer Simon Gilbert joined the band who appeared the following year on the cover of Melody Maker, before the release of their first single, proclaimed as the best new band in Britain. "The Drowners" was released in May 1992, it broke the top 50 in U.K. Singles chart followed by the top 10 hit "Animal Nitrate" and the top 20 "Metal Mickey" which also hit the #7 on Billboard's Modern Rock Tracks chart; their self-titled debut full-length disc shot to #1 in British Albums chart. 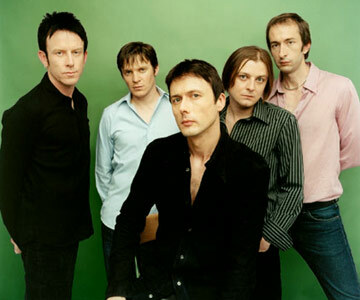 The more significant troubles began when Butler departed in 1994 just after recording the second album, "Dog Man Star" and legal wrangles with a female solo artist named Suede forced them to change their name to the London Suede in America; the young guitarist Richard Oakes joined the group that kicked off an international tour. Suede resurfaced in September of 1996 enlisting keyboardist Neil Codling and releasing "Coming Up" which stormed the European charts helped by several hit singles such as "Beautiful Ones", "Trash" and "Filmstar". One year later the band issued "Sci-Fi Lullabies", a double-CD collection of b-side and other material. Suede released their fourth studio-effort, "Head Music", in May of 1999, it includes the hit single "She's In Fashion". In the spring of 2001, Codling made a shocking announcement, he leaves the band due to chronic fatigue syndrome he's been suffering from, Alex Lee stepped in to fill his shoes and the following year appeared "A New Morning" which includes "Positivity", one of their greatest successful single, it ranked in the top 20 in many European countries charts and in Canada.